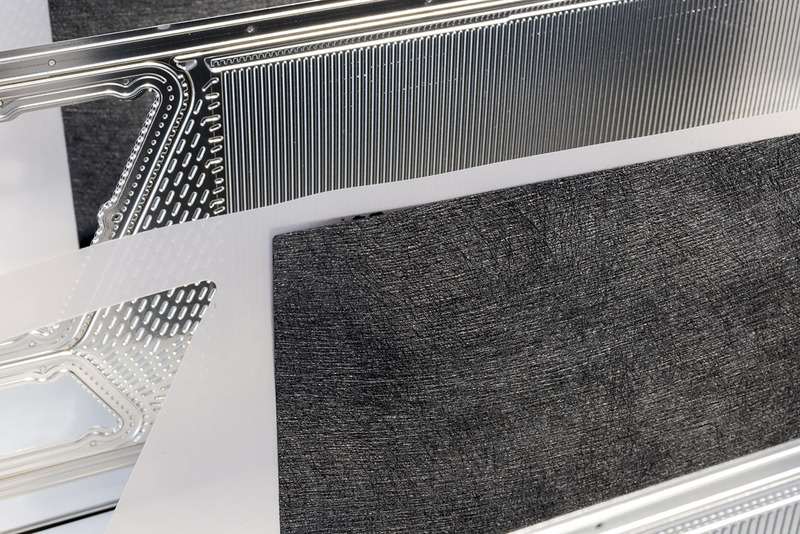 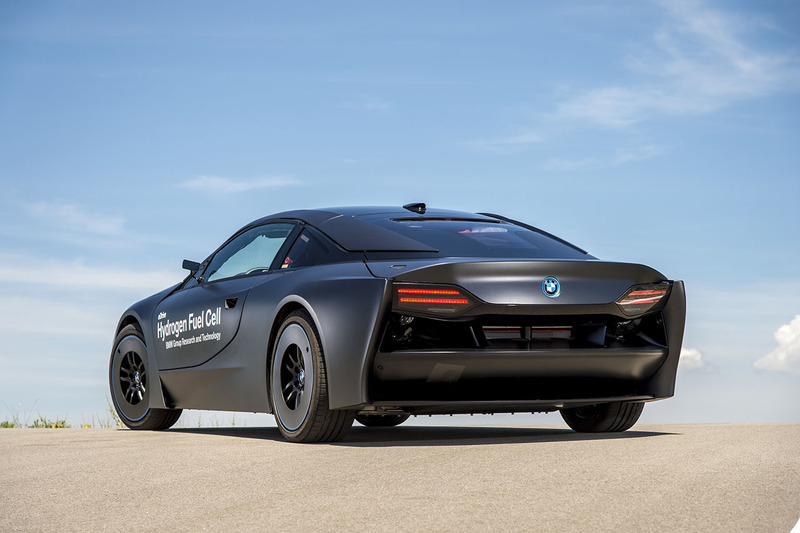 Among a slew of innovations announced this week at BMW’s Innovation Days press event, one stands out as perhaps the most awe inspiring of the bunch. 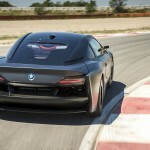 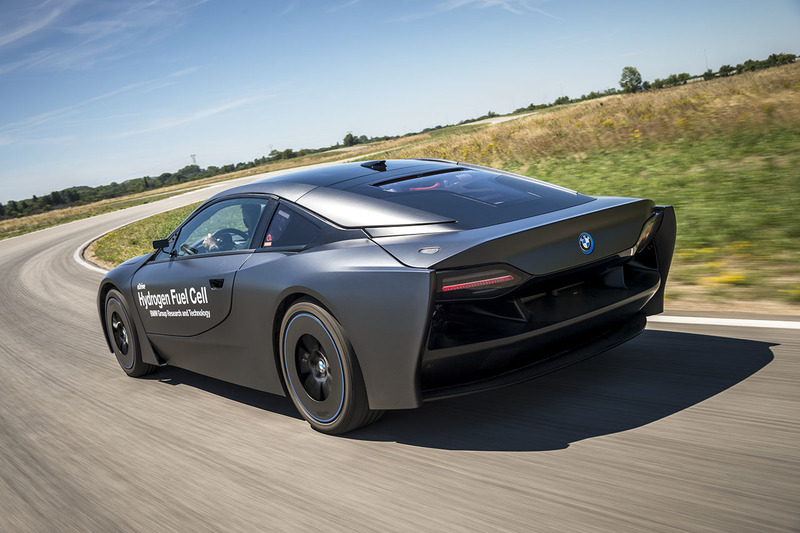 The i8 based prototype (officially unnamed by BMW at this time) replaces the 1.5L three-cylinder with a fuel stack. 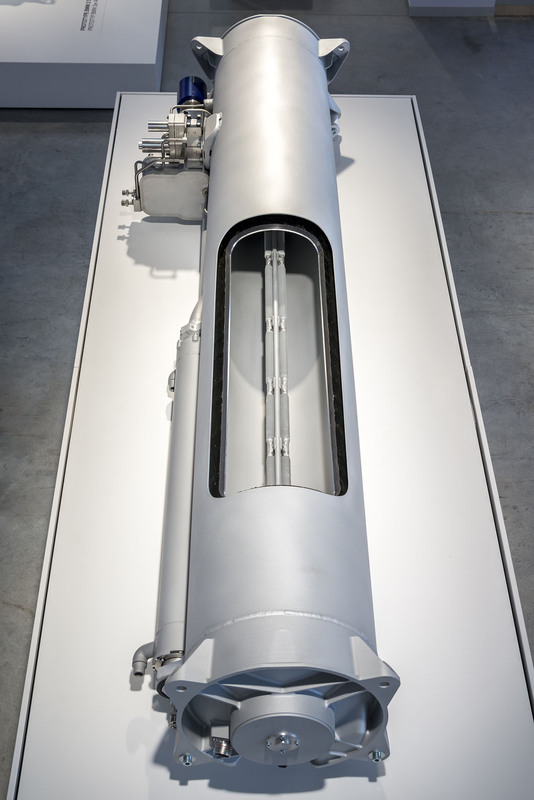 Energy is derived from hydrogen cryogenically stored and contained in a cylindrical tank low down in the center of the car. 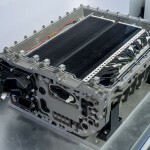 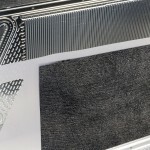 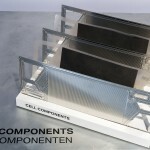 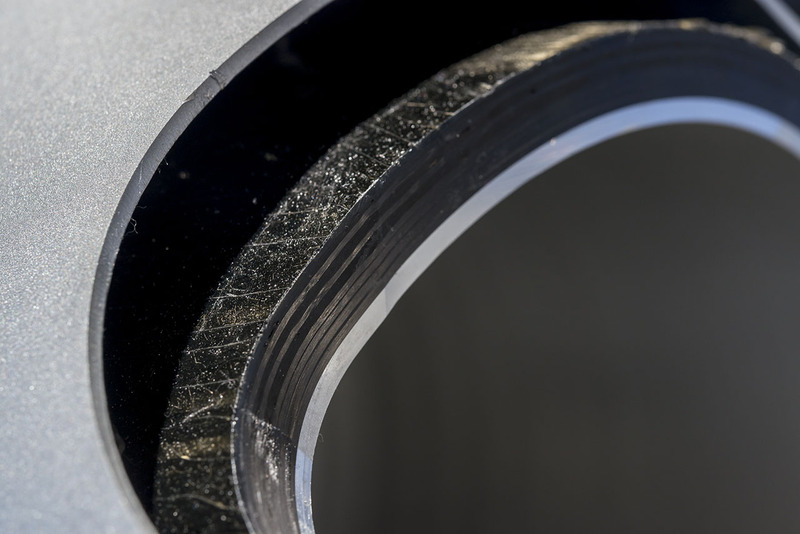 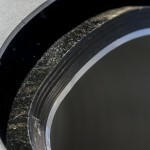 The stack provides electricity for the electric motor – the only emission being water. 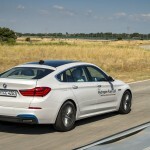 The prototype has been running around Munich since 2012 and has recently been taken out of service – replaced by a small fleet of 5 Series GTs that are clearly closer to production spec. 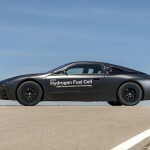 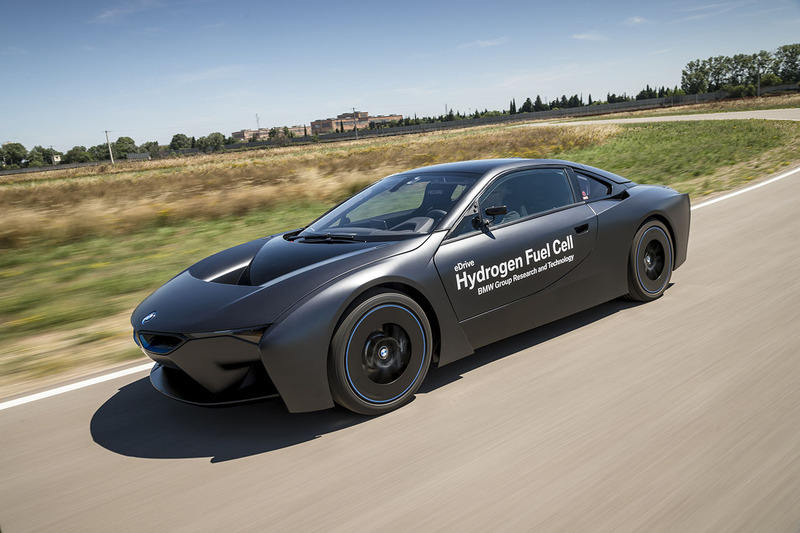 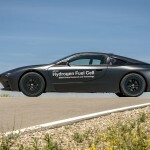 Nevertheless this prototype and the 5 Series GT powered by hydrogen are the first public fruits and BMW’s Hydrogen joint venture with Toyota. 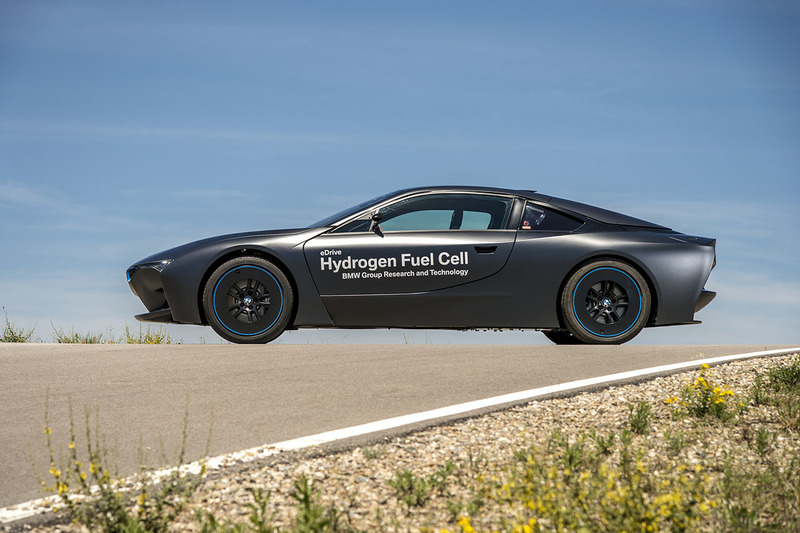 The 5GT actually uses the same stack as found in Toyota’s Mirai, the first publicly available hydrogen fuel cell vehicle. 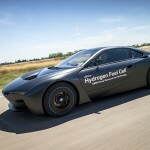 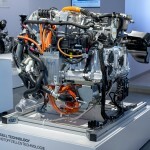 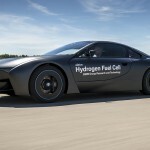 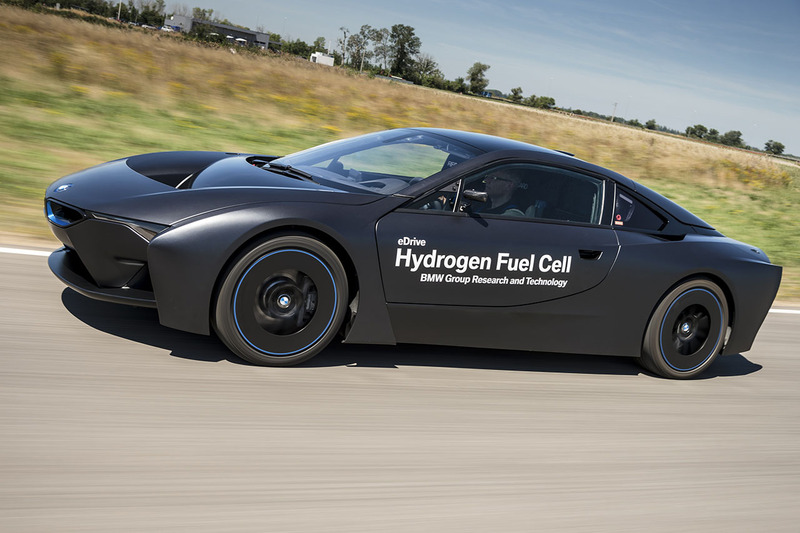 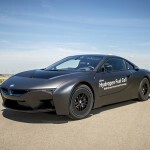 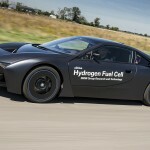 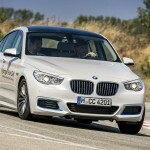 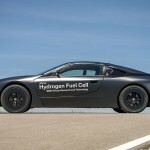 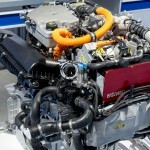 When will we see a production Hydrogen fuel cell car form BMW? 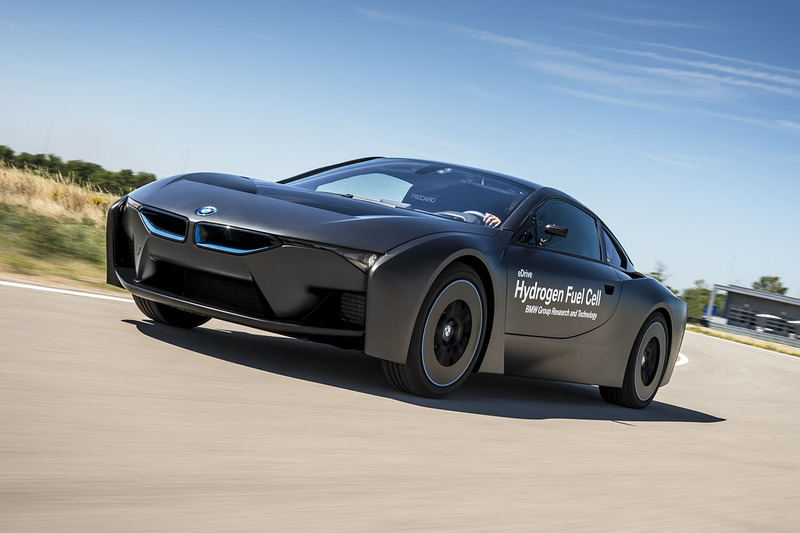 The head of BMW’s research and development operations Klaus Fröhlich isn’t shy with dates. 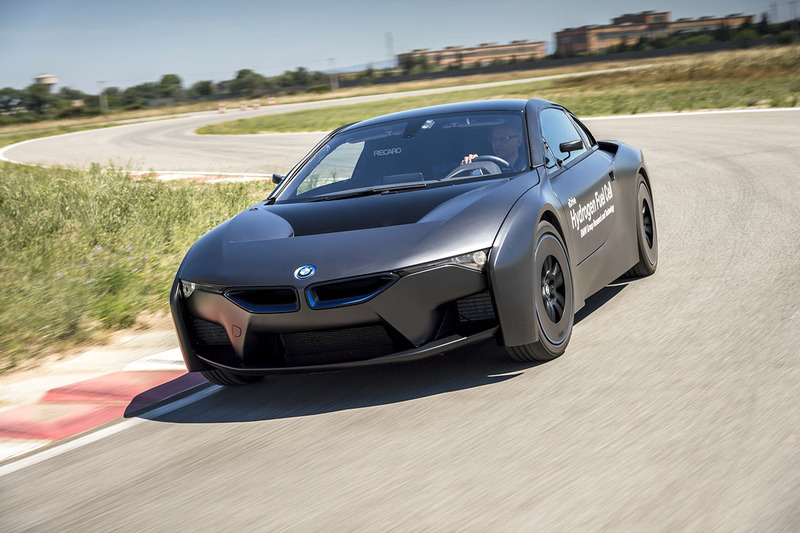 Expect something by 2020. 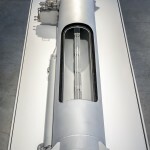 What form that will take remains to be seen. 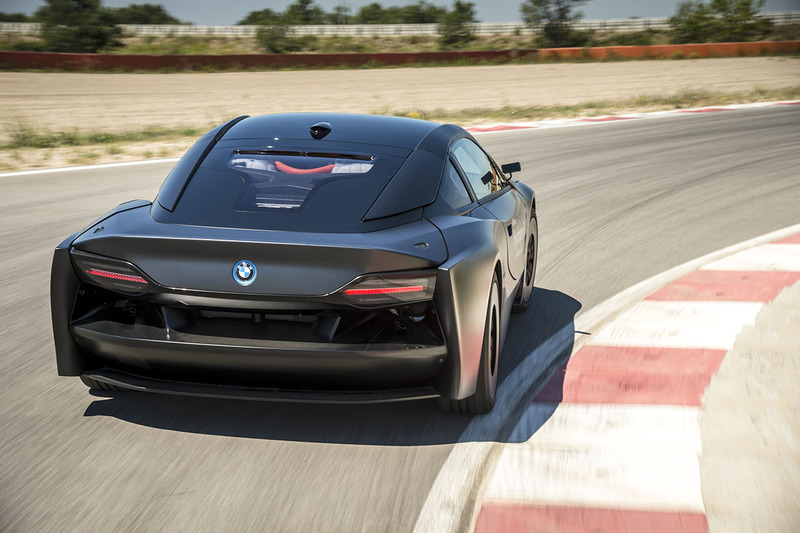 But something marketed under the BMWi brand with four doors would make a lot of sense. 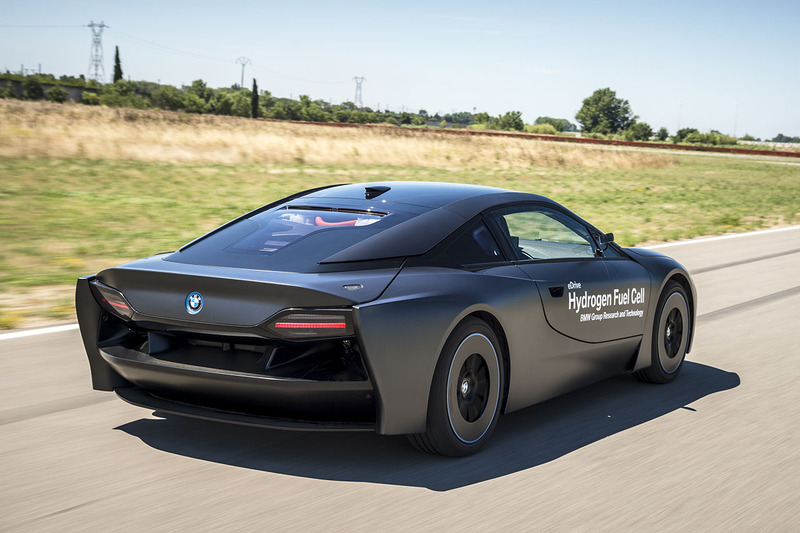 Official Release: As part of its research and predevelopment work in the area of drive technology, the BMW Group has focused on the use of hydrogen as an energy source for more than 30 years now. 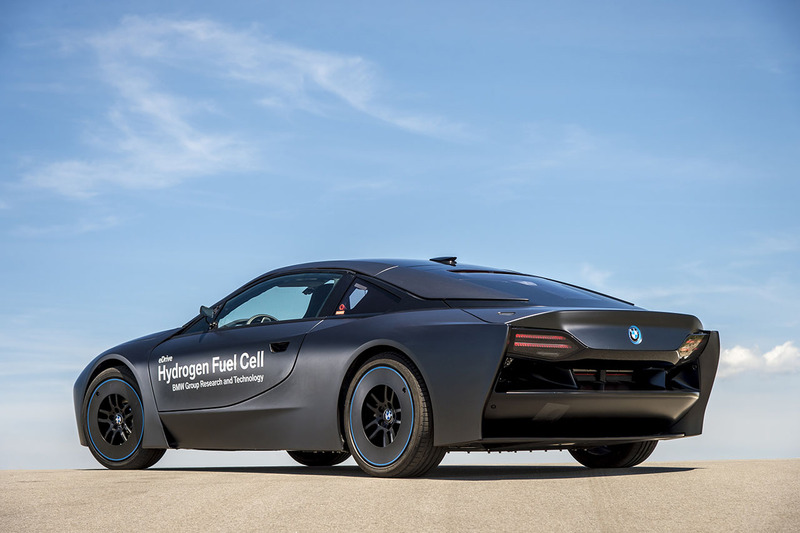 In 2006 the first luxury sedan for everyday use to be powered by a hydrogen combustion engine was unveiled – the BMW Hydrogen 7. 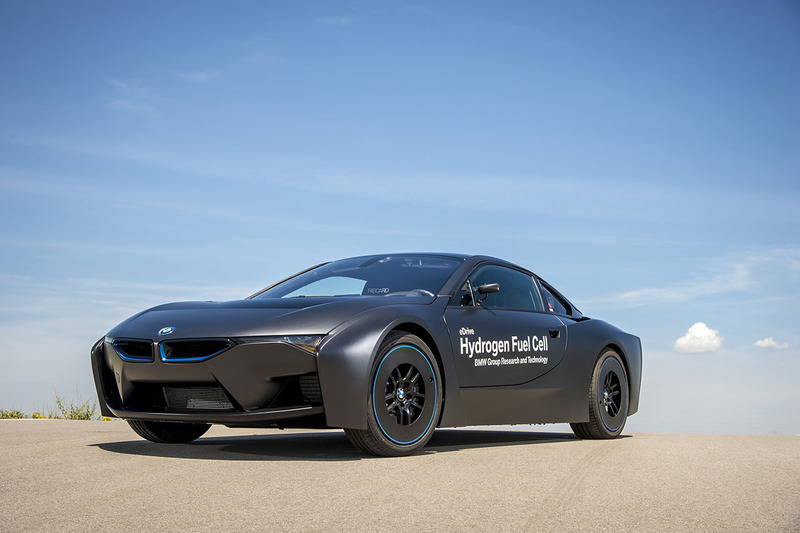 And more than 15 years ago the BMW Group also began to direct its spotlight onto hydrogen fuel cell drive systems. 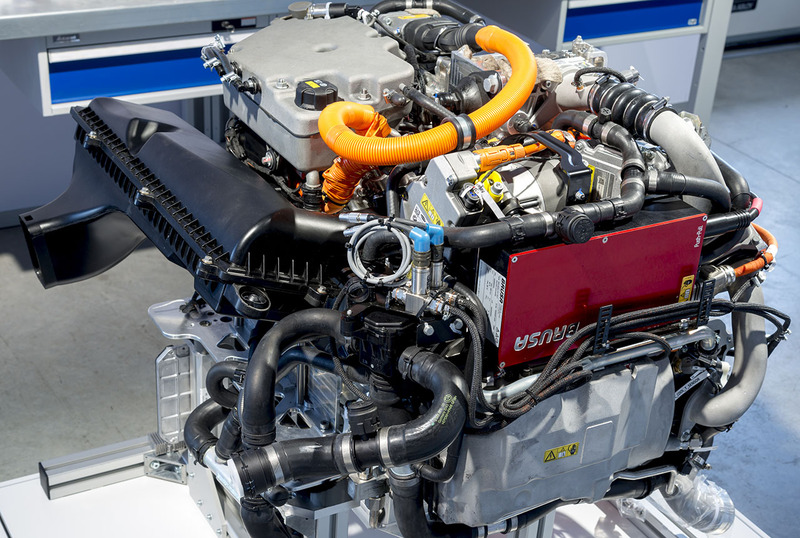 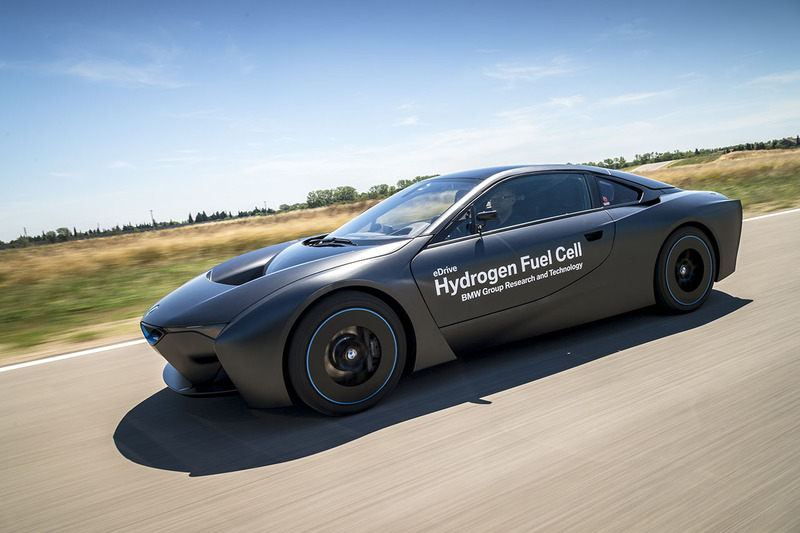 A constant stream of significant advances – in terms of energy efficiency, performance capability and everyday practicality – have likewise been made with this technology, which converts hydrogen into power for an electric drive system, rather than burning it inside the engine. 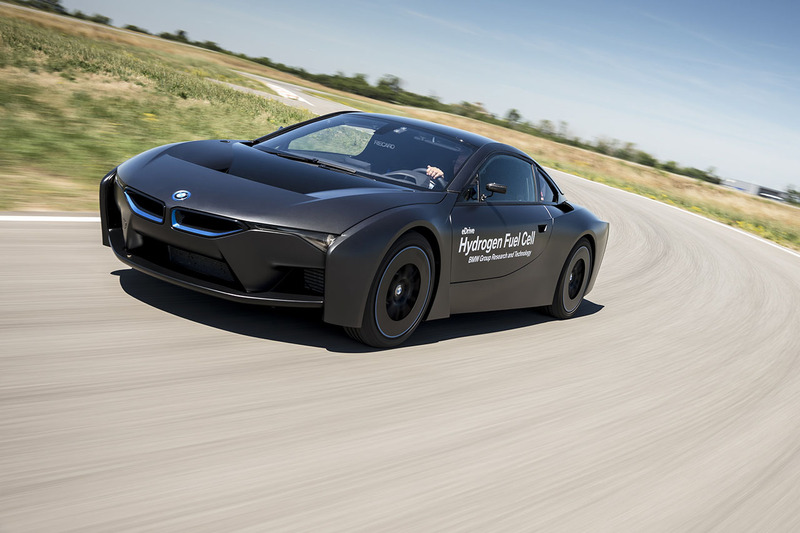 • Electric motor developing 180 kW/245 hp, power electronics and high- voltage battery for interim energy storage; developed as a variant of BMW eDrive technology for BMW i cars and BMW brand plug-in hybrid models. 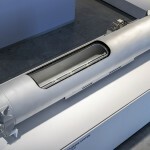 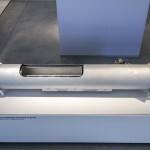 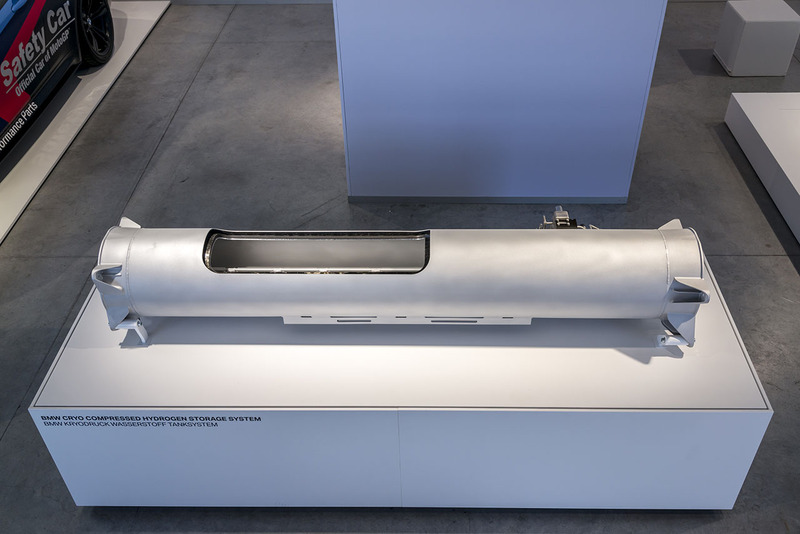 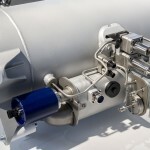 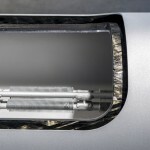 • Hydrogen storage in the form of a tunnel tank between the front and rear axle; industry standard 700 bar CGH2 vessel technology and cryogenic pressure vessel technology (CCH2) patented by the BMW Group for storing gaseous hydrogen at low temperature and 350 bar pressure; operating range: over 500 kilometres (more than 300 miles). 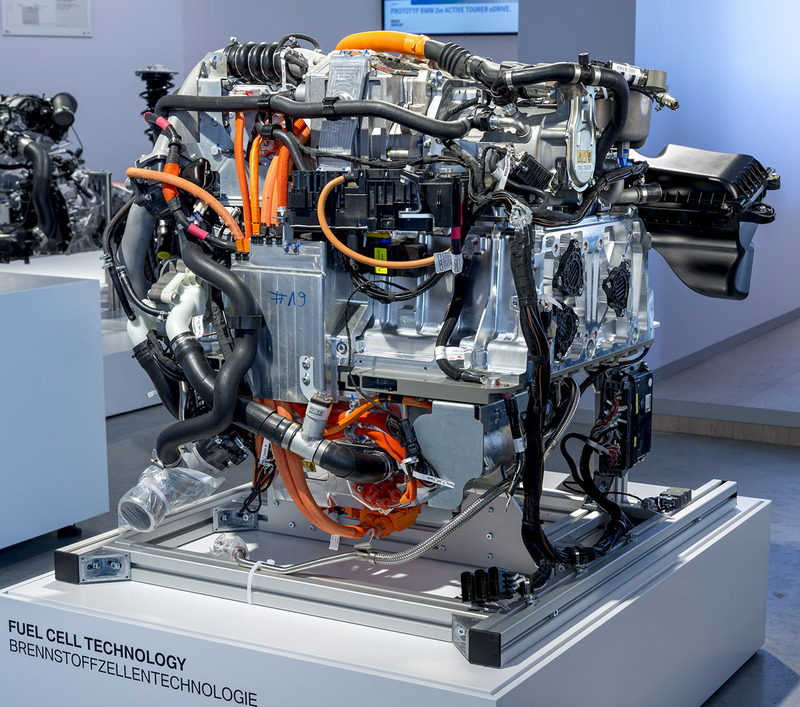 • Fuel cells, housing and ancillary systems: initial results from the collaboration between the BMW Group and the Toyota Motor Corporation on Fuel Cell Electric Vehicle (FCEV) technology. 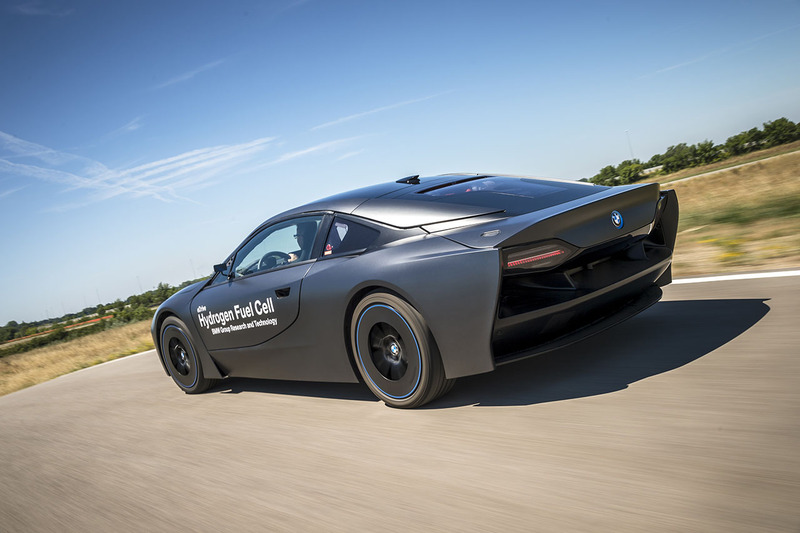 The strategic collaboration between the BMW Group and the Toyota Motor Company agreed at the beginning of 2013 has provided fresh momentum for the development of FCEV drive technology. 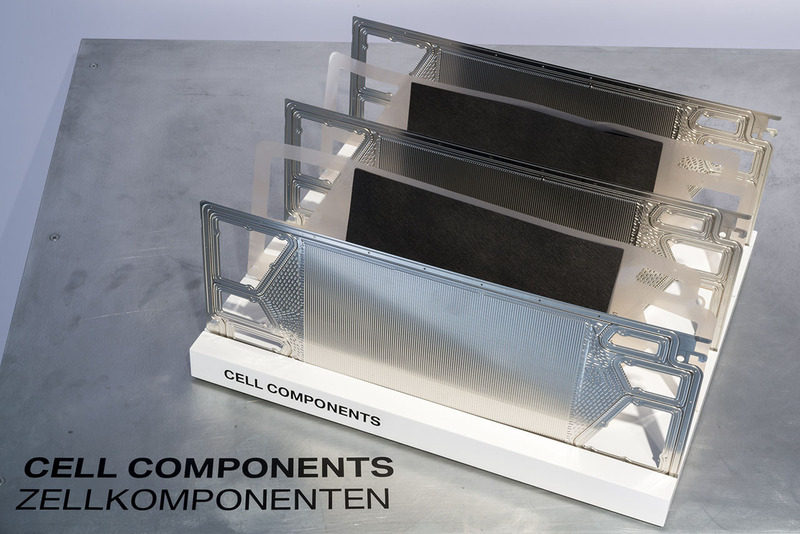 The aim of the collaboration is to have an initial group of approved components ready by 2020. 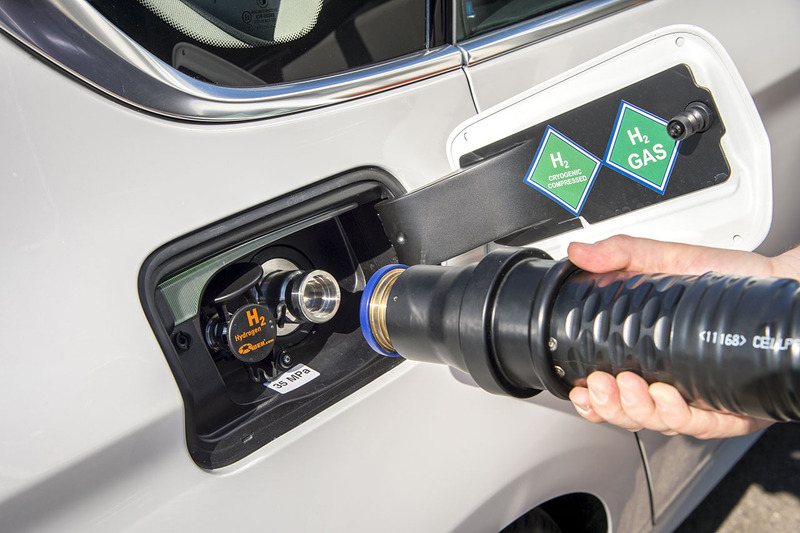 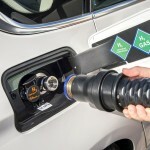 The successful introduction of FCEVs is dependent on the development of a hydrogen infrastructure in the markets concerned. 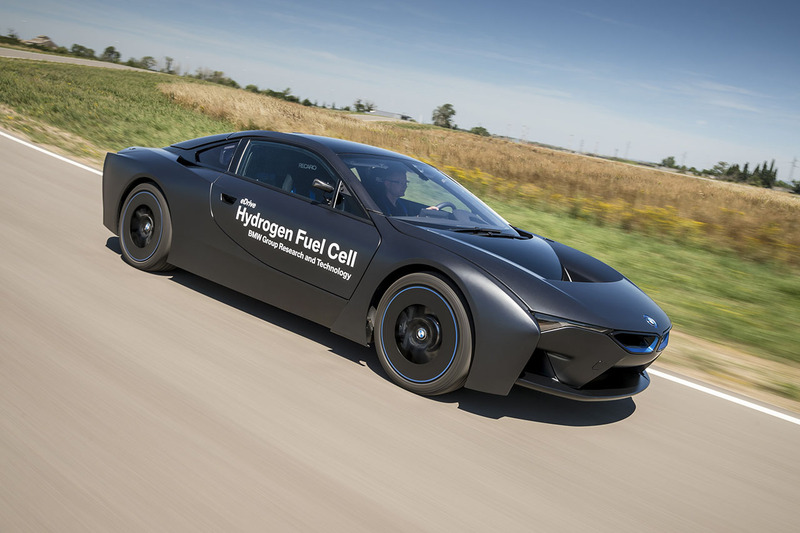 The two collaboration partners are supporting this process through jointly created technological standards which make fuel cell-powered vehicles easier to use and help to increase their reach and numbers. 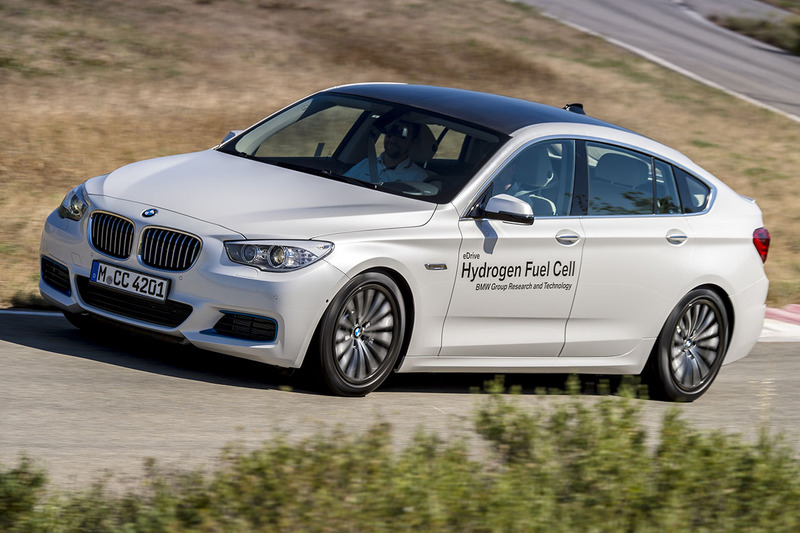 Pioneering combination: BMW eDrive and fuel cell technology. 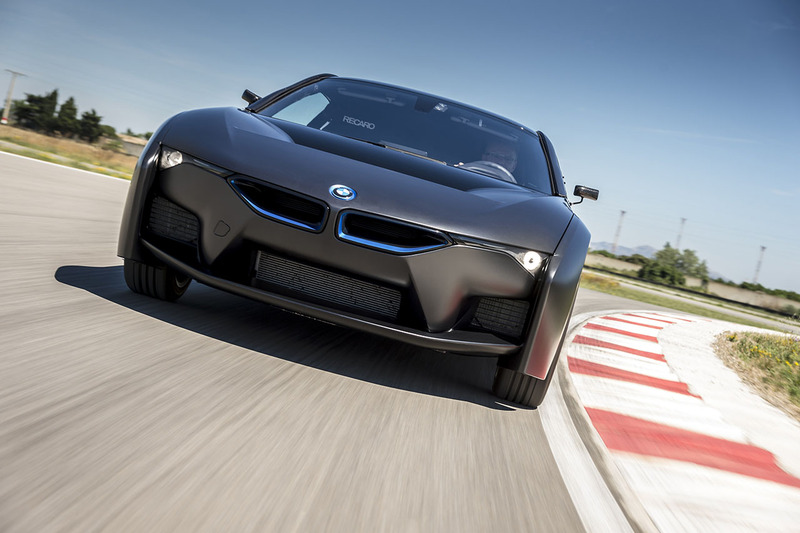 • BMW eDrive electric motor generates instantaneous power delivery and impressive dynamics. 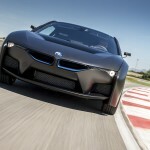 • Power electronics, high-voltage battery and intelligent energy management based on the BMW Group’s eDrive technology. 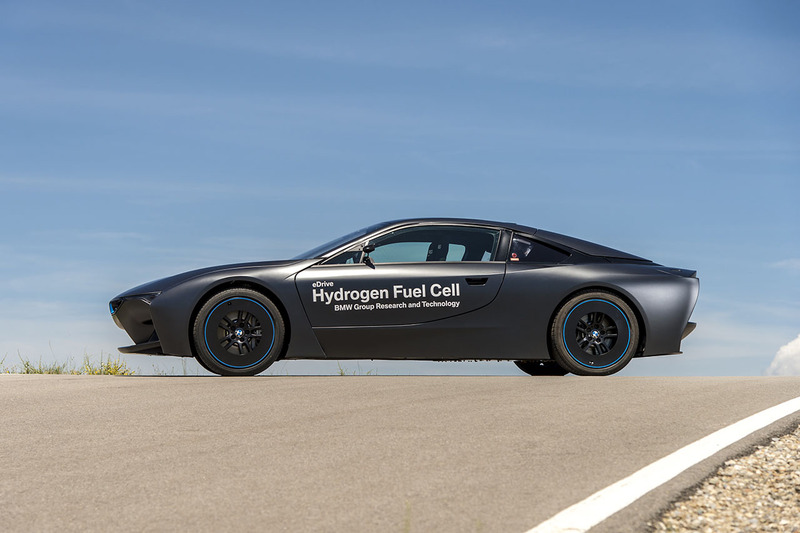 • Long-distance capability with an operating range of more than 500 kilometres (300 miles) thanks to the high energy density of the hydrogen carried on board. 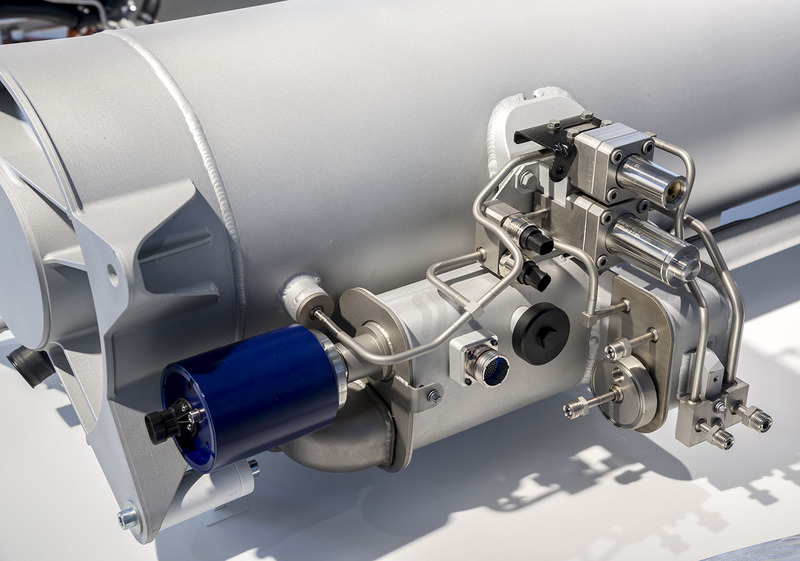 • Fast and convenient refuelling in under five minutes. 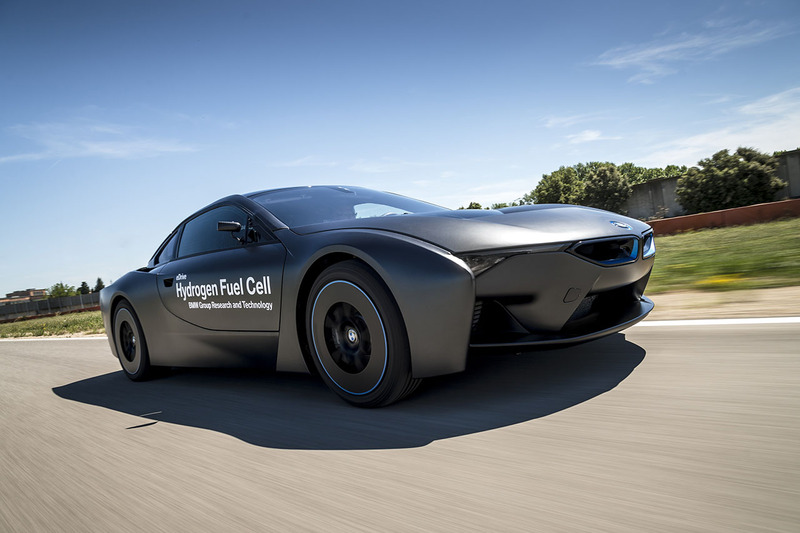 Fuel cell technology therefore makes an ideal addition to both the BMW i models and, in the future, the series-produced models from the BMW brand fitted with tried-and-tested eDrive technology. 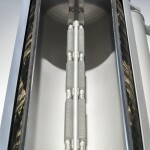 It converts the gaseous hydrogen contained in the storage tank into electric power and water vapour. 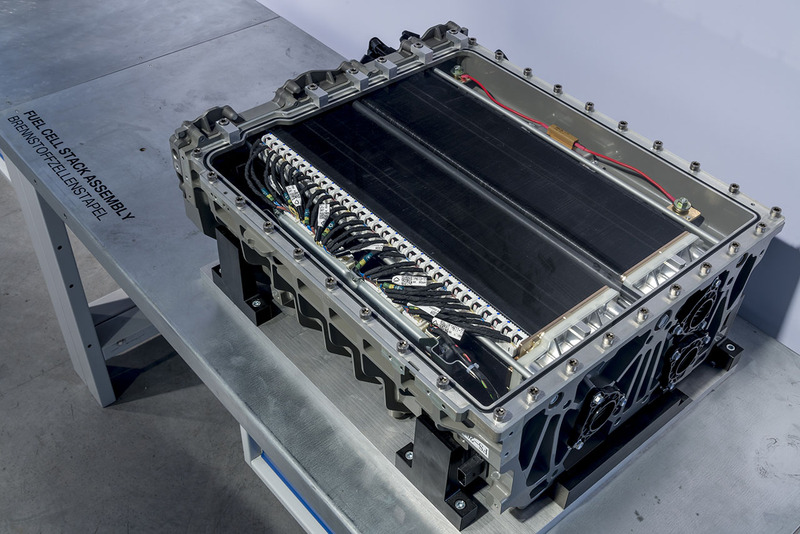 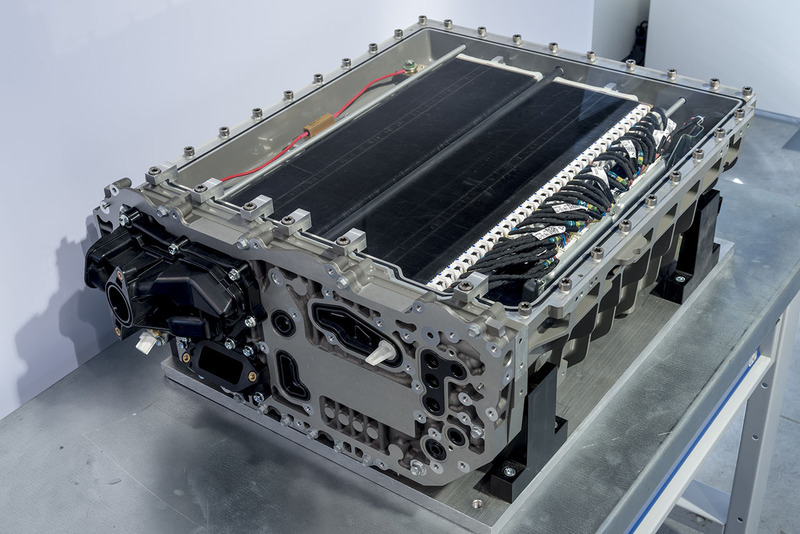 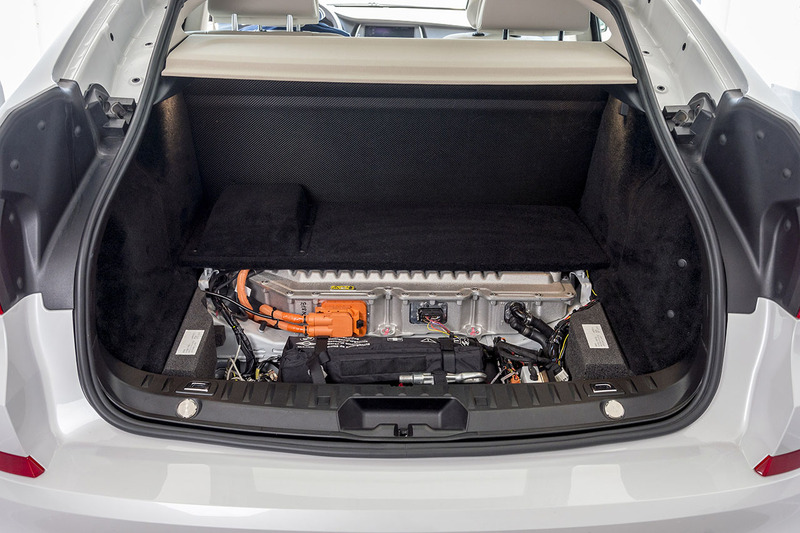 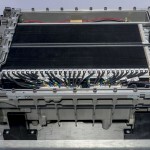 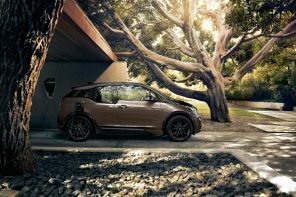 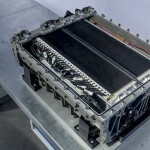 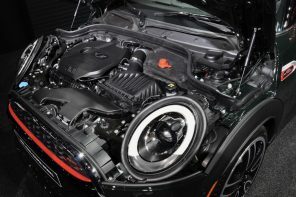 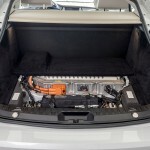 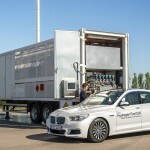 The vehicle’s high-voltage battery serves as an energy storage unit and can therefore be considerably smaller – with a net capacity of around one kilowatt hour – than in battery-electric concepts. 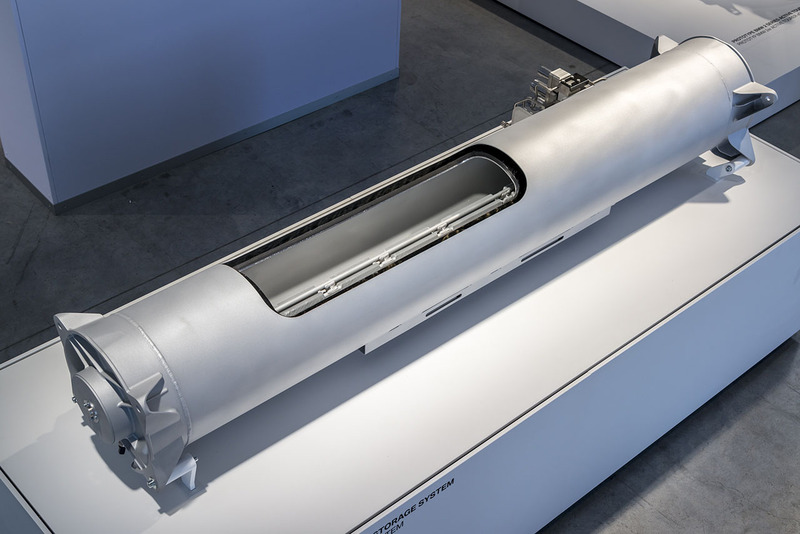 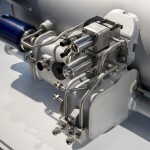 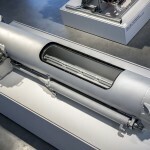 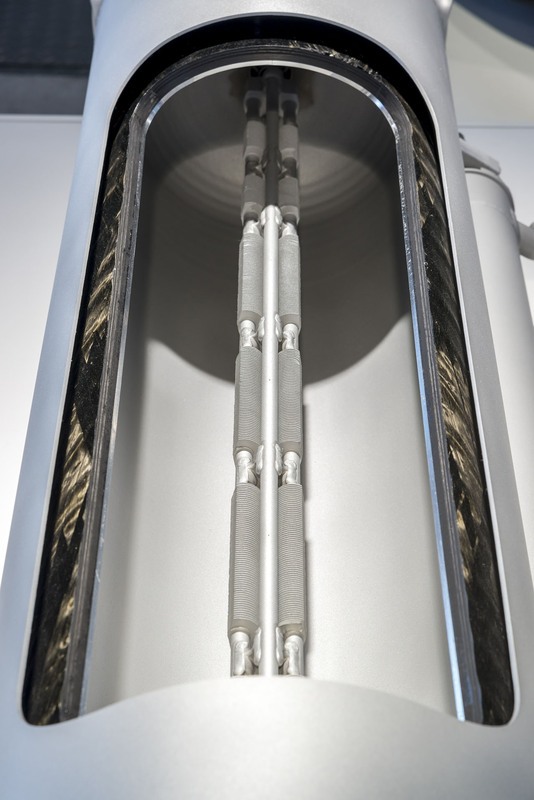 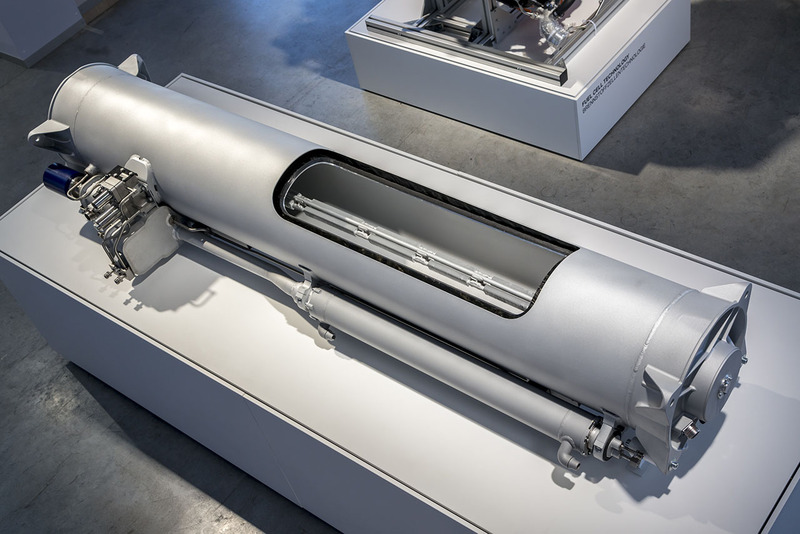 Storing hydrogen in a cryogenic pressure vessel can, depending on the type of vehicle, allow an operating range comparable with that of conventional vehicles powered by combustion engines. 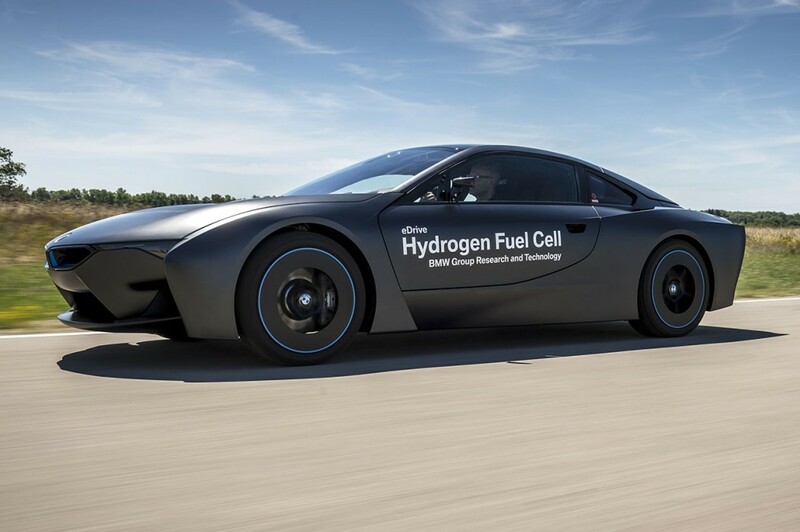 Filling up the hydrogen storage tank takes a similar amount of time as refuelling a petrol or diesel tank. 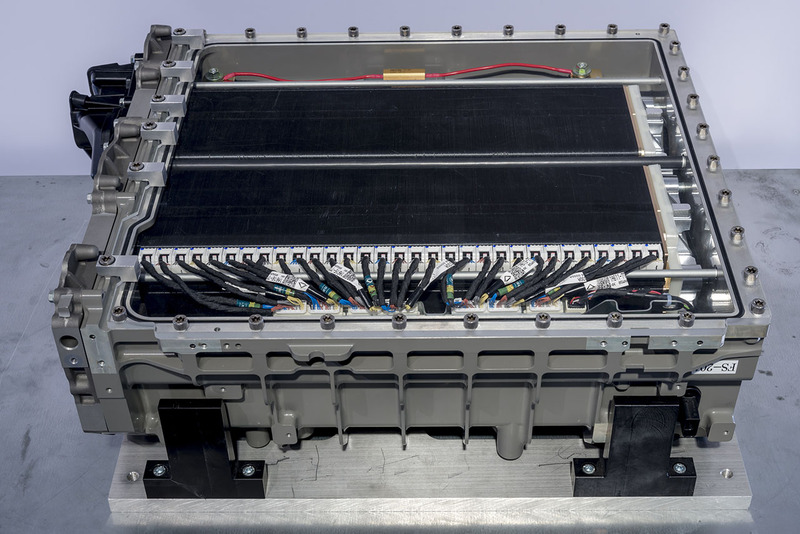 FCEV as an element of Efficient Dynamics: drive system portfolio and vehicle architecture offer high flexibility. 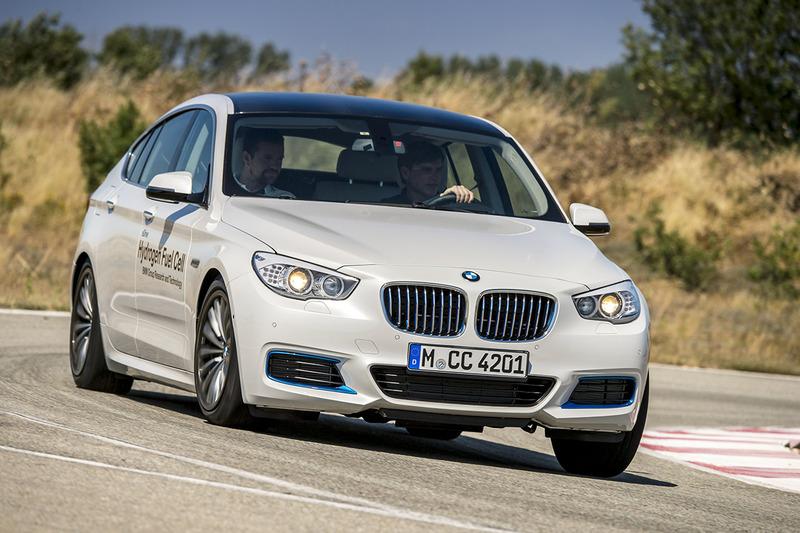 Highly efficient combustion engines with BMW TwinPower Turbo technology. 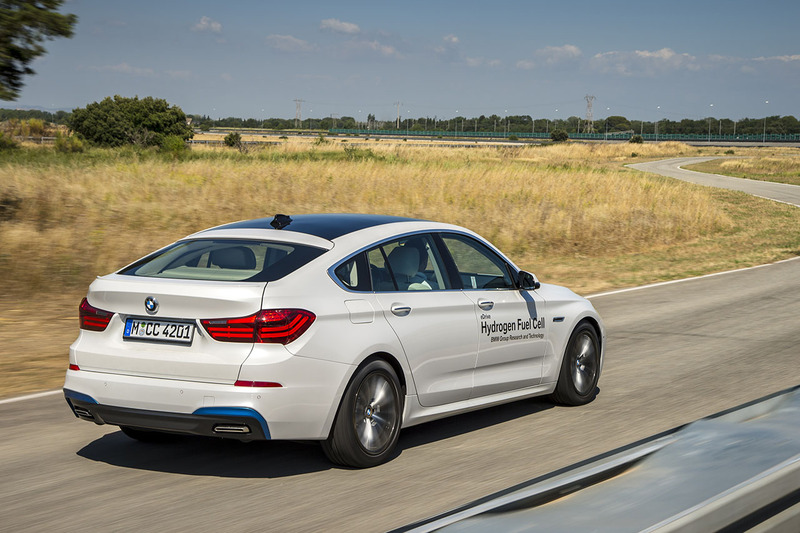 • Intelligently controlled plug-in hybrid systems with BMW eDrive or Power eDrive technology enable low-emission electric driving very much in the BMW mould. 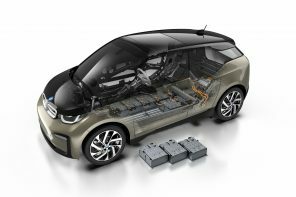 • Locally emission-free, battery-electric vehicles with a high-voltage battery like that of the BMW i3. 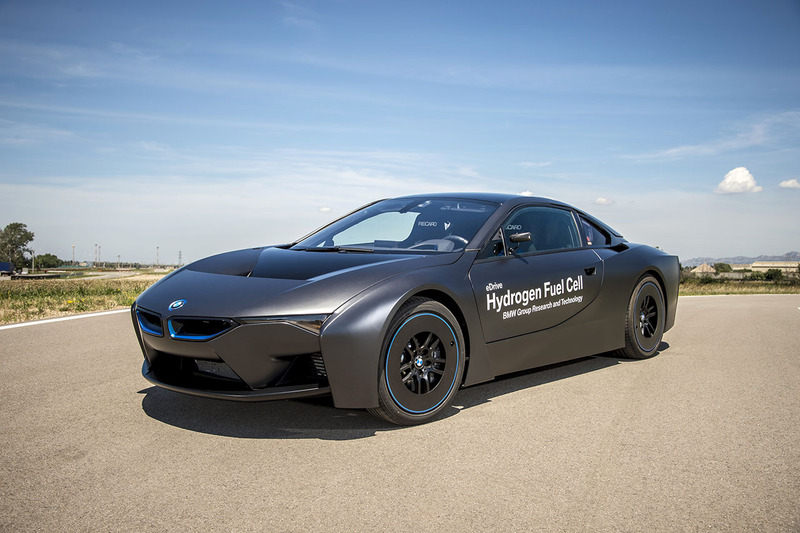 • Fuel Cell Electric Vehicle (FCEV) with hydrogen fuel cell technology and BMW eDrive electric drive system. 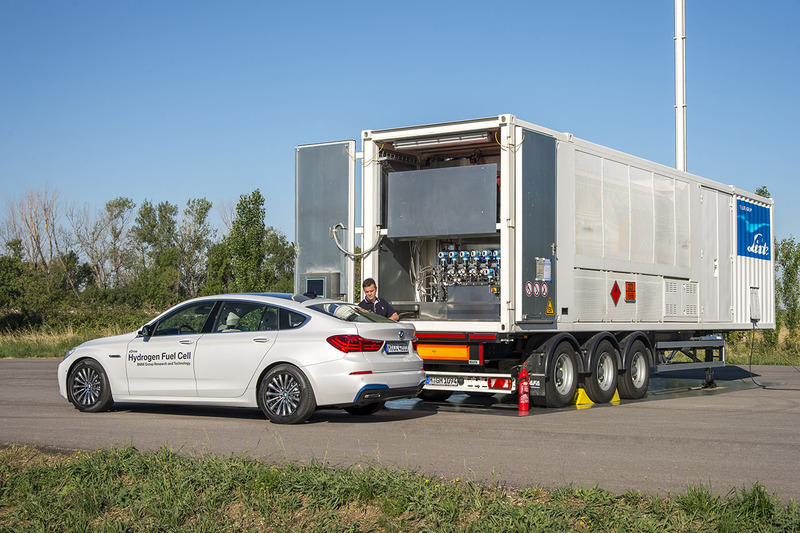 With this flexible drive system portfolio designed to provide efficient personal mobility, the BMW Group is ideally prepared for the global challenges of the medium and long term when it comes to reducing fuel consumption and emissions. 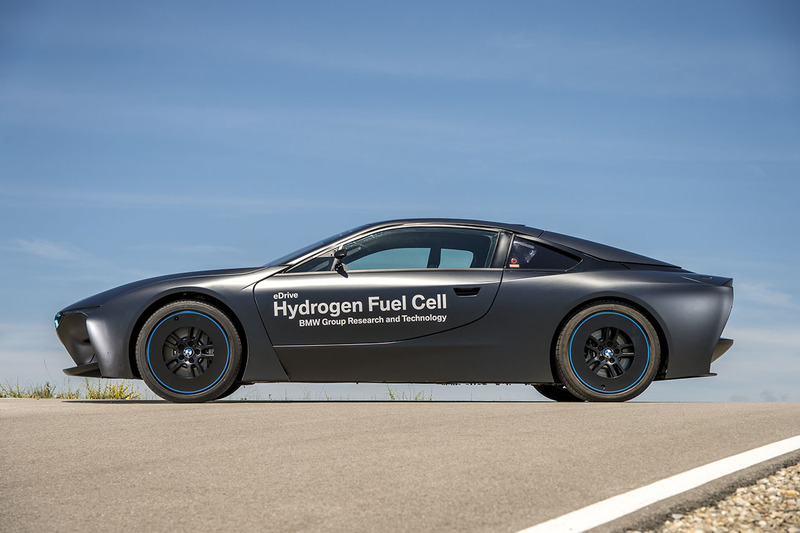 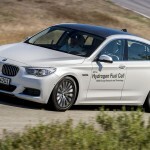 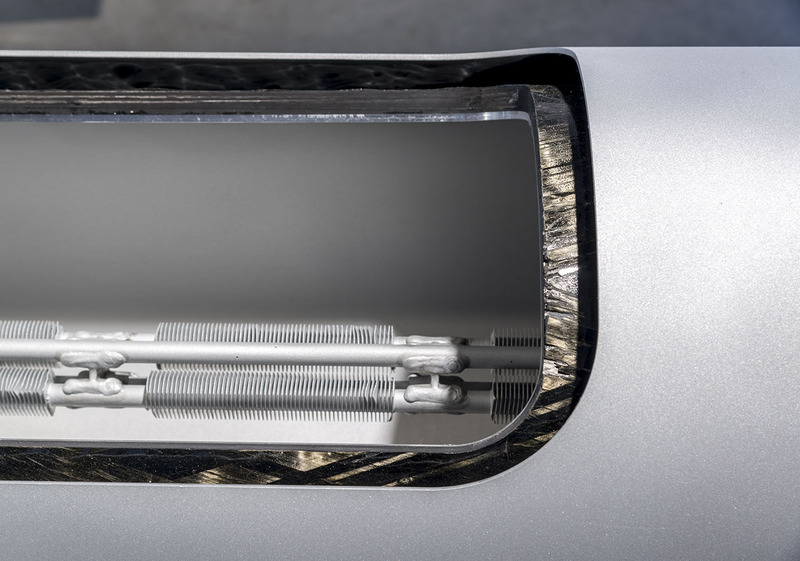 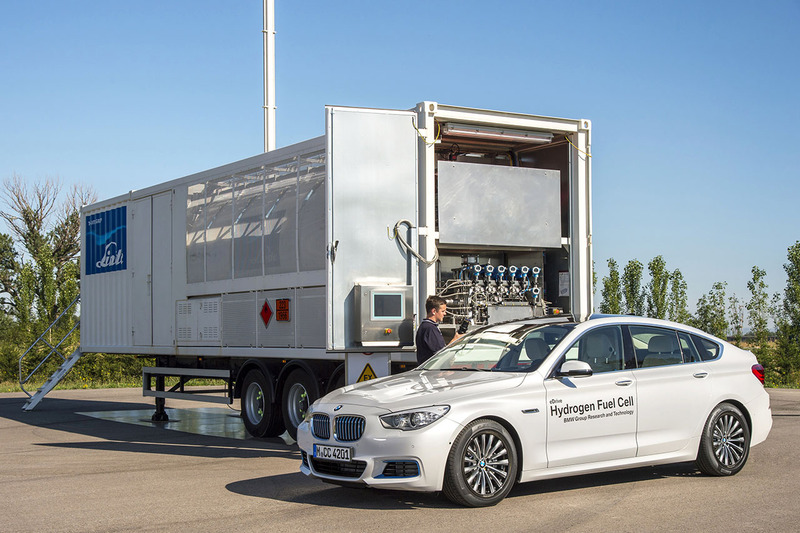 The integration of the hydrogen fuel cell drive system into the demonstration vehicles presented during the BMW Group Innovation Days 2015 is all part of the testing and validation process taking place as part of the ongoing development phase. 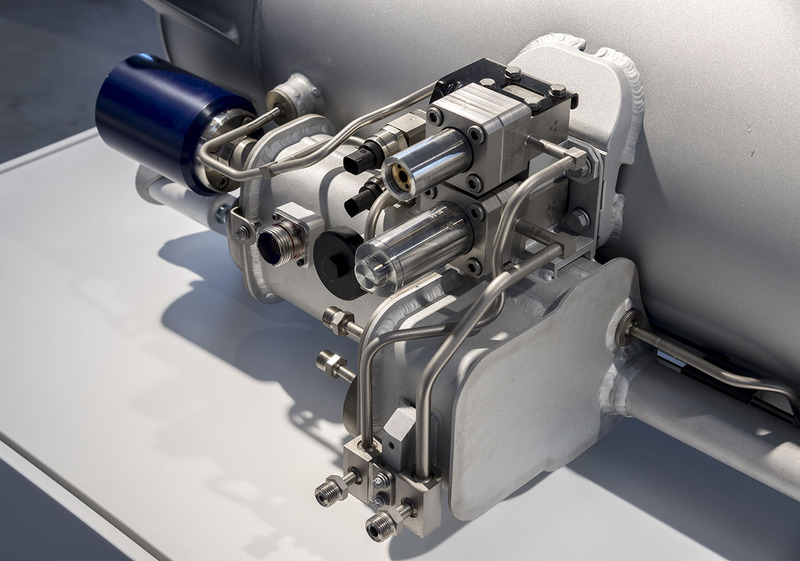 The development of a series-produced FCEV provides the opportunity to integrate the variable drive system architecture into a bespoke vehicle architecture and so provide the perfect showcase for the qualities customers will most appreciate.